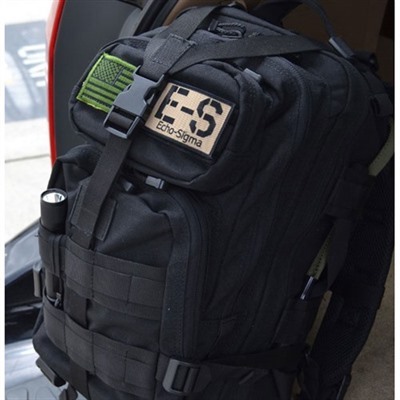 Rugged, purpose-built backpack contains a host of key supplies to sustain life and help get you through a major disaster. 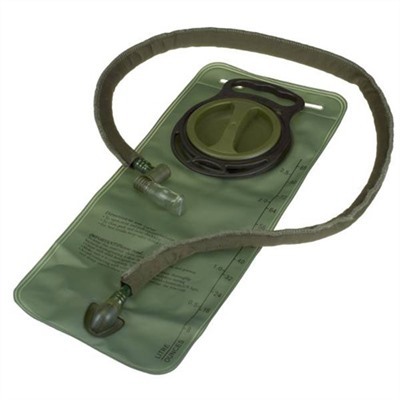 Ideal to keep at home, in the office or in the car, this mid-sized pack includes an integrated 2.5-liter hydration system and plenty of compartments to stow its critical survival gear. 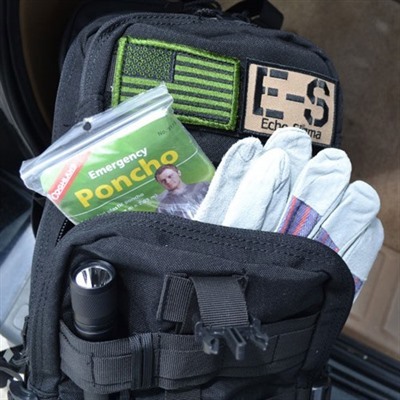 Front external compartment holds a pair of work gloves and an emergency poncho. 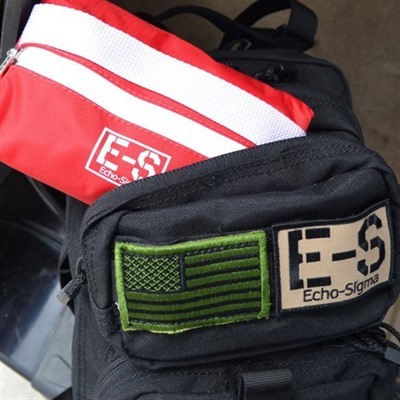 Top external pouch contains the Echo-Sigma basic first aid kit. 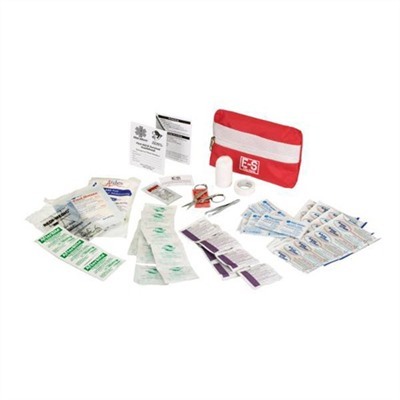 Internal, front zippered pouch holds safety goggles, two N95-rated masks, emergency sleeping bag, hand warmers, six AA batteries, signaling mirror, and a survival guide, plus a mini-survival pouch with a compass, blanket, pens, paper, glow sticks, duct tape, fire-starting supplies, and water purification tablets. 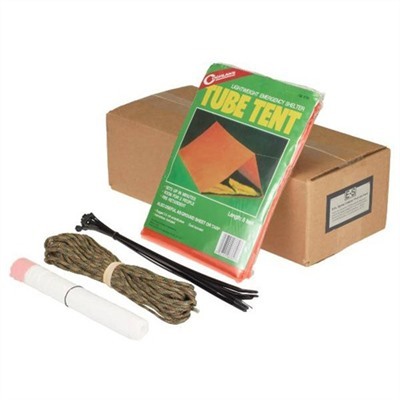 Large, rear internal pocket contains 2.5 liters of water in sealed packs good for 5 years in storage, six ration bars (400 calories each), and an 8'-long tube tent for shelter. 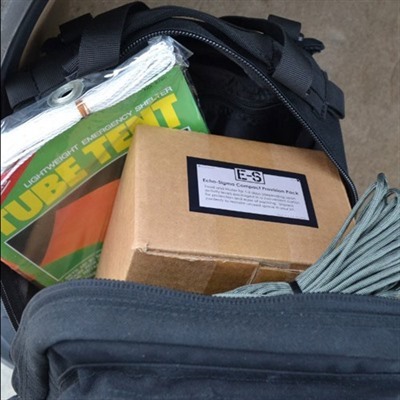 Also included are draw-string garbage bags, 10 extra-long zip ties, and 50' of military-grade 550 paracord. The 17-lb. 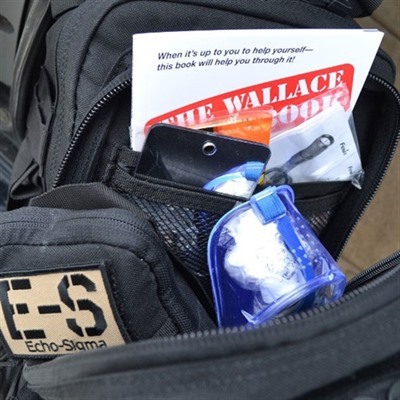 bag also comes with a 170-lumen Fenix LED flashlight and a Gerber Vise tool. Ships from Manufacturer. Additional processing time required. 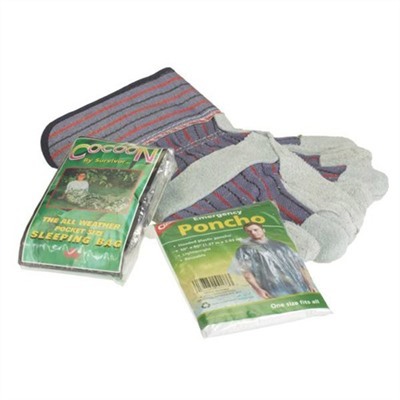 Please allow for 10 additional business days for shipping.